OrcaTorch’s latest offering falls into this category. The D860 Dive Light is a dinky hand-held torch with a user changeable, Li-ion rechargeable battery pack, and a 3.5 hour charge time via an external charge port. 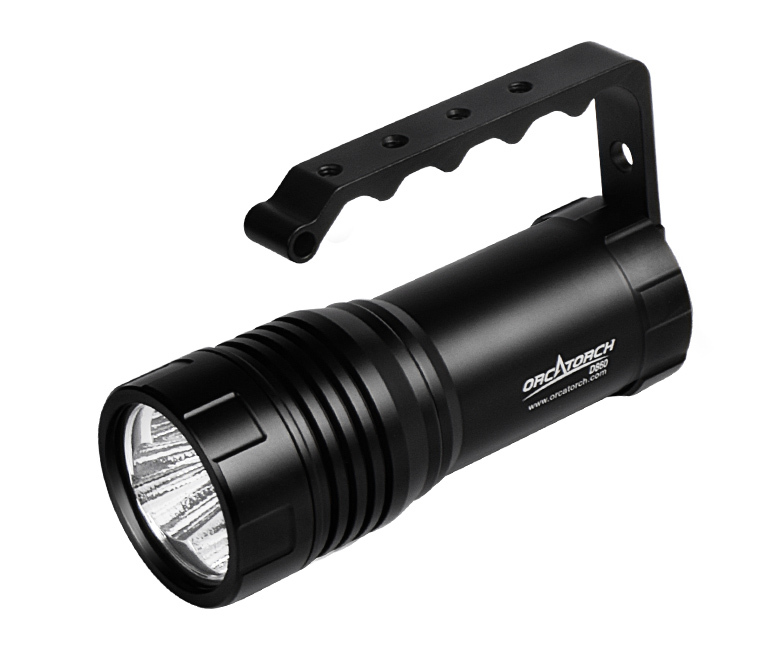 This 189 mm / 7.4 inch flashlight has a burn time of 60 minutes at 4,200 Lumens and 270 minutes at 1,500 Lumens. Five holes have been drilled into the handle, so that divers can attach other equipment or securing clips with ease.